As part of my ongoing writing goals I try and keep things rolling with regards future projects. Of course, back when I first started writing this wasn't a problem. My goal back then was to write a story about the boundary waters canoe area. Then, the next week, write another. In a weird chain of events, I am now a book and a couple of poetry collections into it and trying to keep the muse chugging along. I am finished with the writing of what I refer to as either the "Portland book" or the "house book," so am starting to look at what's next. I have a few ideas. The first one came to me just the other day and is kind of unique, at least I think it is. 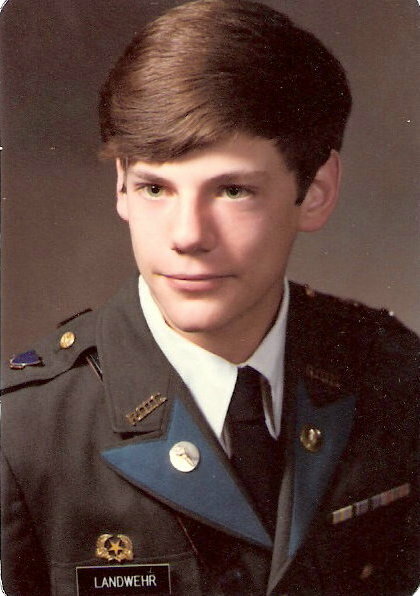 I'm thinking of writing another memoir about my years attending an all male, Catholic, military high school in the late 1970's. The reason I think this would be interesting is mainly because when I tell people that as my high school experience, their eyes typically bug out - like I told them I went to Hogwarts or something. We wore military uniforms and were taught by a mix of laypersons, Christian Brothers, and military men. 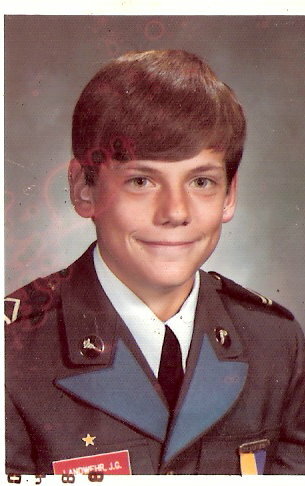 We had uniform inspections every Monday where we were checked for well-shined shoes, brass, proper haircuts, etc. Part of our Freshman training involved going to the rifle range and shooting .22 caliber guns that weighed as much as the bumper of a 77 Chevy wagon and were at least as unwieldy. I guess it was so long ago, and I take it for granted as my experience, that I never think much about how truly unique it was as a teenager to go through high school with this strange mix of Church and State. The whole thing was a trip and I think it needs a book. I'm still unsure if there's enough material there, but I really like the idea. One of the other thoughts is to co-author one of the two books that my uncle has written that were never published. Uncle Jack passed away years ago and I would like to fulfill a dream of his and get one of them published. They are a little slow moving, so I would rewrite every chapter. I have requested to get the manuscripts from my cousin so I can scan them and look at revisions/rewriting. It's a big project, but I think the fact that it would be a posthumously co-authored book makes it kinda unique. The final idea is to write about the courtship of my wife and I. Most of you have heard the story, but I would like to take some of the letters we wrote over those years and build it into a book. This would also be a tough challenge because I only have the letters to her from me. I managed to throw most of hers out. (I'm such a clod-man!) I'm not sure how I'd like to work it - maybe transcribe my letters to her and then try and rewrite hers. Or just transcribe mine and write about where I was at that point in my life. I don't know. If you have ideas, send them my way. I'm desperate here. So, I have three possibilities without trying too hard. The fourth option would be to try and write a fiction book, which would be fun and a stretch for me. My son is in the throes of trying to decide which of three colleges to attend next fall. One day he came in the house after school and lay down on the living room floor and writhed around saying "I don't know where to go to college..."
And it's funny because that's where I am with my next book.